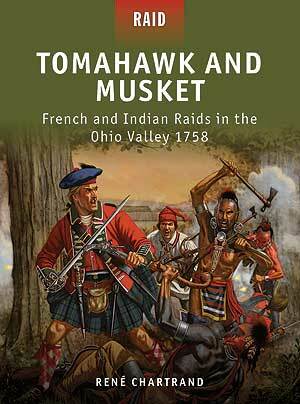 In 1758, at the height of the French and Indian War, British Brigadier General John Forbes led his army on a methodical advance against Fort Duquesene, French headquarters in the Ohio valley. As his army closed in upon the fort, he sent Major Grant of the 77th Highlanders and 850 men on a reconnaissance in force against the fort. The French, alerted to this move, launched their own counter-raid. 500 French and Canadians, backed by 500 Indian allies, ambushed the highlanders and sent them fleeing back to the main army. With the success of that operation, the French planed their own raid against the English encampment at Fort Ligonier under less than fifty miles away. With only 600 men, against an enemy strength of 4,000, he ordered a daring night attack on the heart of the enemy encampment. This book tells the complete story of these ambitious raids and counter-raids, giving in-depth detail on the forces, terrain, and tactics.